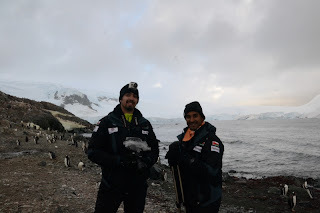 Freezing Omanis: Day 5 - Antarctica, here we are! Day 5 - Antarctica, here we are! 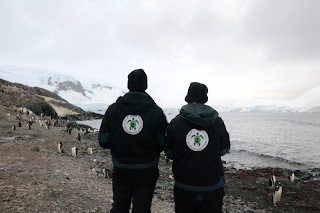 Today, six months after being selected for the 2041 Antarctic Youth Ambassador Programme, we have landed in Antarctica. 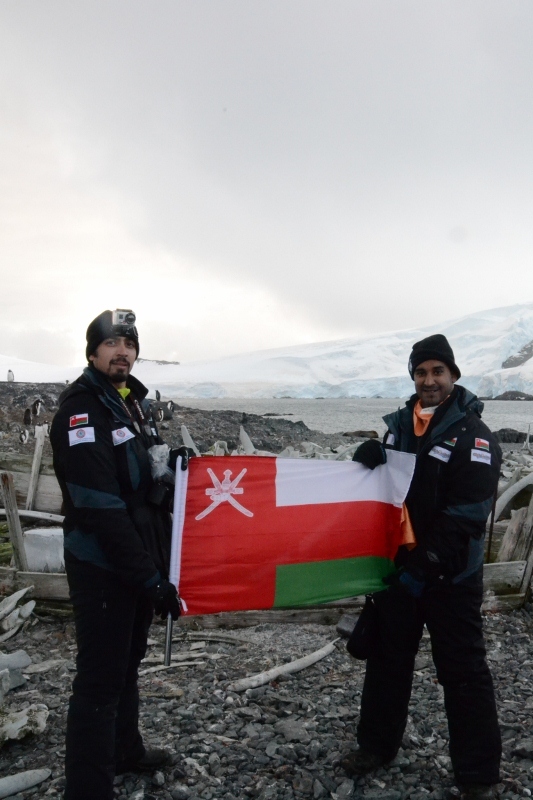 Bader Al Lawati and Ameer Abdulhussain, the youngest Omani to reach Antarctica, landed in Mikkleson harbour on the Antarctic Peninsula. The journey took us from Muscat to Brazil then to the city of Ushuaia in Argentina. In Argentina we climbed to the top of a glacier and trekked through the national forest with the other participants to prepare ourselves for the journey ahead. On the 3rd of March, the ‘Sea Spirit’ left Ushuaia heading south to the Antarctic Peninsula. 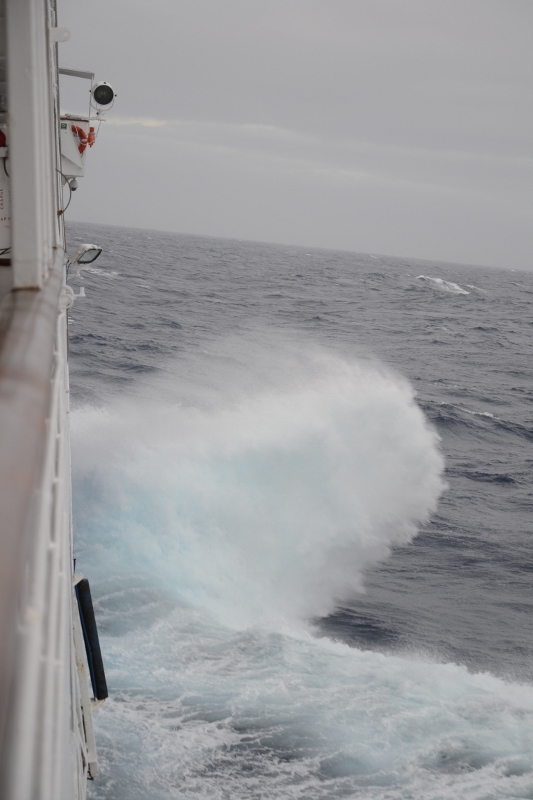 The journey took two days and took us through the roughest waterway in the world; ‘The Drake Passage’. 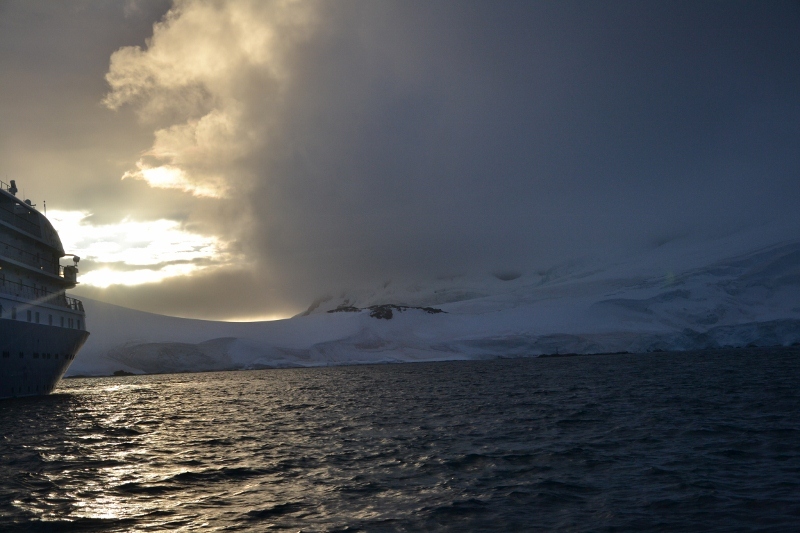 After two and a half days at sea (5th March), the Antarctic icebergs showed themselves shortly followed by land. Excited, the were on the second Zodiac heading to the historic Nickleson harbor to learn about the area and rest for a few hours before listening to scientists and environmental specialists to develop their campaigns for when we come back to the Sultanate. 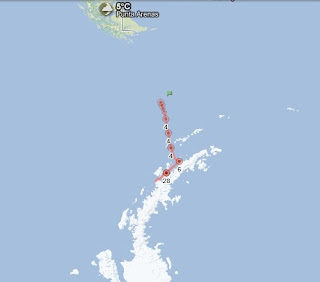 Tomorrow (the 6th) the ‘Sea Spirit’ will cross the Lemaire Channel and the Freezing Omanis will spend the night on the ice. Day 7 - Sleep deprivation! Day 6 - crazy 24 hours! Day 3 - Mt. Martial Glacier...and the snow? Video - our arrival in Ushuaia!